Thanyapura is popular place for athletes training . 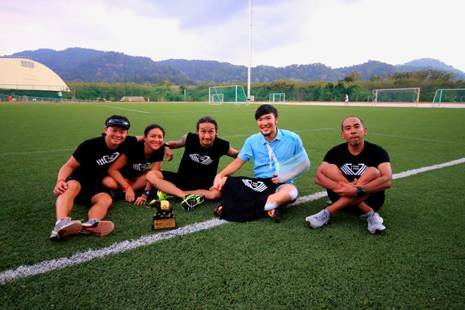 The famous Thai rock star “Toon Bodyslam” and his team called “ITRI” visited Thanyapura for triathlon training. ITRI team consist of number one rock singer, Toon Bodyslam (centre); Moderndog’s guitarist, Pong Pawin Suwannacheep (fifth from left) and famous director of rock music video, Pueng Salinee Khemjarus (second from left). Twelve cyclists from Bangkok led by World Travel Joy team leader, M.L. Kalyakorn Kasemsri joined cycling training at Thanyapura with Nick Gates, Director of Cycling Academy. 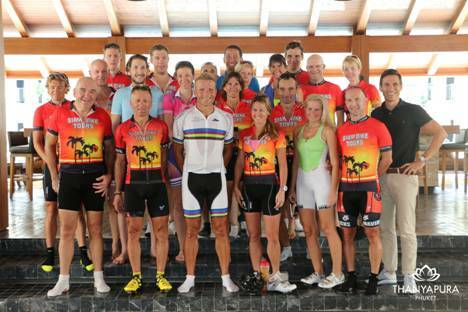 Twelve cyclists from Bangkok led by World Travel led by Jurgen Zack, Thanyapura triathlon head coach and 20 long bike riders who cycled from Bangkok to Phuket with a distance of 833 km over 8 days.